Europa has previously been identified as one of the most likely destinations in our Solar System for finding extra-terrestrial life. When ice sublimates, shards are left behind. In a recent study, researchers reported a new discovery, 50 feet tall "ice spikes" covering parts of the moon's surface. The spikes are caused by ablation of ice and are similar to the ice deposits around the Earth's equator known as penitentes, which would make any future missions to the moon tricky. We have penitentes here on Earth, but they're only found in high-altitude regions near the tropics, such as the Andes, and they range in size from about 1m to 5m. In a new paper published yesterday (Oct. 8) in the journal Nature Geoscience, researchers likened the environment at Europa to high altitudes on Earth. It has the thermal conditions needed for ice to sublime without melting; and there is very little variation in the angle in which the Sun shines on the surface. (The cameras on spacecraft that have flown past Europa so far just haven't been sharp-eyed enough to spot the features.) And there is some chance that incoming radiation from Jupiter would smooth out jaggedness on the Jupiter-facing side of the icy world. "We hope studies like ours will help the engineers to develop innovative ways of delivering landers safely". Astronomers didn't know what this meant, only that it suggested something weird was going on in Europa's ice. Shards of ice 15 metres (50ft) high could exist on the surface of Jupiter's moon Europa, posing a threat to landing probes, scientists say. Jeff Moore, a co-author on the study and a Planetary Geologist at NASA's Ames research Center in Mountain View, CA, notes that NASA's upcoming Europa Clipper mission, set for launch early in the next decade, could directly observe penetentes with its high-resolution camera, and measure other properties of these interesting objects with the spacecraft's other instruments. 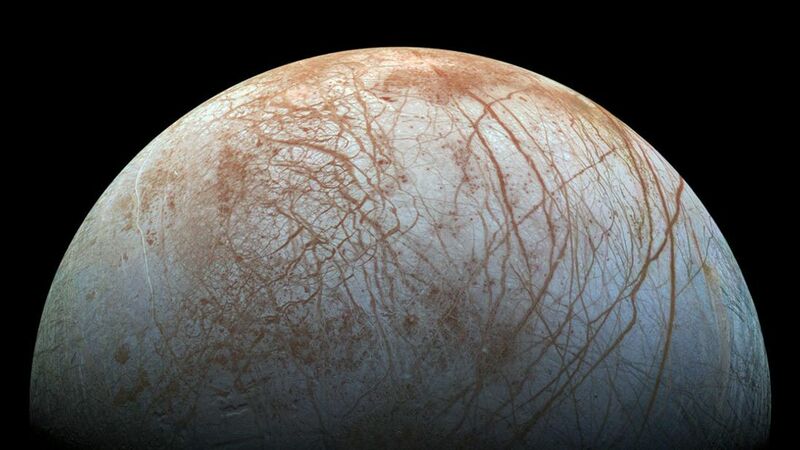 "If there are plumes on Europa, as we now strongly suspect, with the Europa Clipper we will be ready for them", said Jim Green, Director of Planetary Science, at NASA Headquarters.